Combining one of nature’s rarest treasures with the most innovative advances in science, Estée Lauder Re-Nutriv Ultimate Diamond contributes to a visible skin transformation. Discover this unique, luxurious skincare series as well as the new Crème Rich, launched in the same series, and keep your precious youth. The vision for perfection led Estée Lauder to travel around the world in order to identify the rarest and most powerful components of nature, with scientists finally discovering in southwest France the Black Diamond Truffle (Tuber melanosporum). They turned this rare natural produce into a valuable, rejuvenating extract, which is the heart of the Re-Nutriv Ultimate Diamond series. It can promote the natural energy and vitality of the skin, enhancing the beauty of the skin like never before. Its remarkable properties contribute to the activation and preservation of a visibly youthful and healthy appearance. Re-Nutriv Ultimate Diamond has in its heart the precious Black Diamond Truffle extract, which has been combined with a scientific innovation to revitalize the appearance of the skin. For the first time, the new patented youth sustaining technologies support a triad of longevity genes – SIRT-1, SIRT-3 and SIRT-6 – which contributes to the renewal and preservation of the youthful appearance of skin. The natural activation of these genes plays a key role in slowing down premature ageing, with multiple actions. 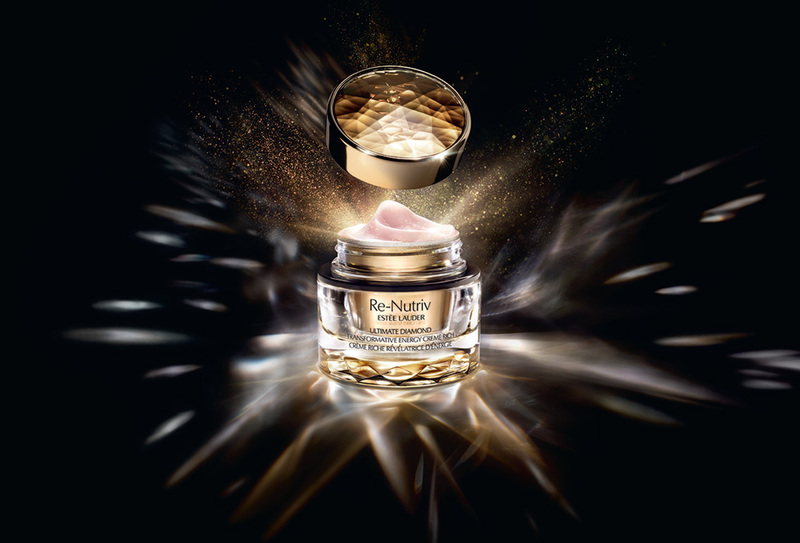 The Re-Nutriv Ultimate diamond Transformative Energy Crème and the new Energy Crème Rich, with a richer texture for even deeper and nourishing hydration. A luxurious care cream on two textures to choose the one that suits us best. It contributes to the preservation of youth and creates a more sculptured and firmer look. It gradually restores the hydrolipidic skin protection shield, increasing its ability to combat the attacks of environmental factors that accelerate aging. Moreover, thanks to the combination of refined gold 24k and other anti-irritant agents that it contains, it contributes to the soothing of the skin and its soft texture. With its systematic use, the skin gains a firmer and smoother appearance, having fewer wrinkles and a noticeably more youthful appearance. Re-Nutriv Ultimate Diamond Sculpting/Refinishing Dual Infusion Elixir, with the highest concentration of active ingredients. Two exquisite elixirs, enclosed in separate vials to maintain their strong qualities, which are combined during application on the skin in order to transform significantly all the areas, for a more tactile, refined and luminous appearance. Re-Nutriv Ultimate Diamond Transformative Energy Eye Creme, an extremely rich but also light and luxurious eye cream which lifts, firms, rejuvenates, sculpts and brightens the appearance of the eye area. Re-Nutriv Ultimate Diamond Revitalizing Mask Noir, the absolute beauty ritual that has just been added to the line. A mask which is inspired by the beauty spas and has unique, direct and spectacular properties for the skin.